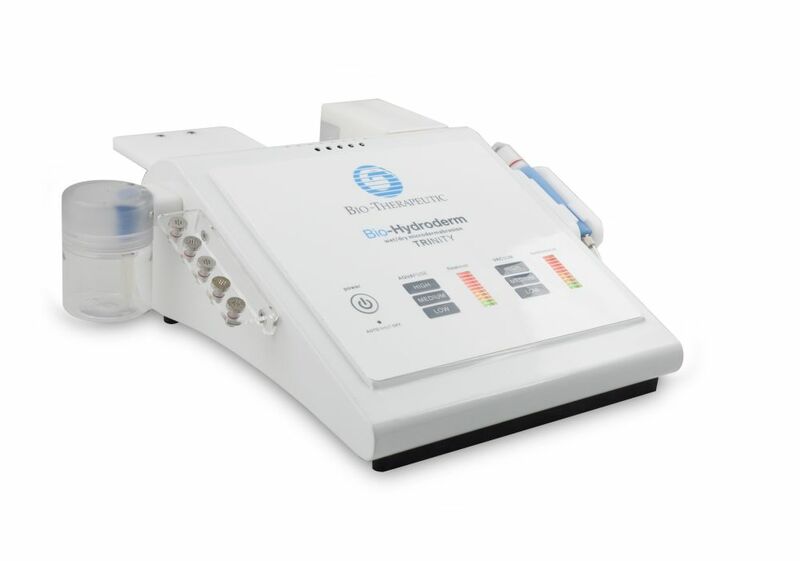 Bio-Hydroderm™ is the next generation of microdermabrasion. A system that combines diamond tip exfoliation, liquid exfoliation, skin cooling and skin hydration for an immediately visible improvement to your skin with no downtime. The Bio-Hydroderm™ handpiece buffs away dead skin cells using a diamond exfoliation disk chosen to match your client's skin type and goals. The Bio-Hydroderm™ simultaneously cools and infuses the skin with advanced AQUAFUSE™ solutions matched to your client's skin’s needs, resolving skin issues such as dryness, ageing, fine lines, acne, hyper-pigmentation and excess oil from the very first treatment. More gentle than conventional microdermabrasion, Hydrodermabrasion is non-irritating with clearly visible results. Hydro-Microdermabrasion combines tried-and-true microdermabrasion exfoliation technology with ultra-hydrating fluids, targeted to address your skin concerns. These penetrate deep into your skin, allowing your skin cells to drink in all the nourishing ingredients needed for a fresh and healthy new beginning. The results are smooth, thoroughly exfoliated, hydrated, youthful looking skin, without the mess and irritation that can sometimes accompany microdermabrasion. A Comprehensive Training Program Included With Your Purchase! A highly developed training program is provided FREE for you and one other staff member with your purchase. Training is conducted at our Melbourne training centre and a Travel Assistance Rebate is supplied for interstate customers. Award-winning marketing support is just one of the features of our ongoing customer support. 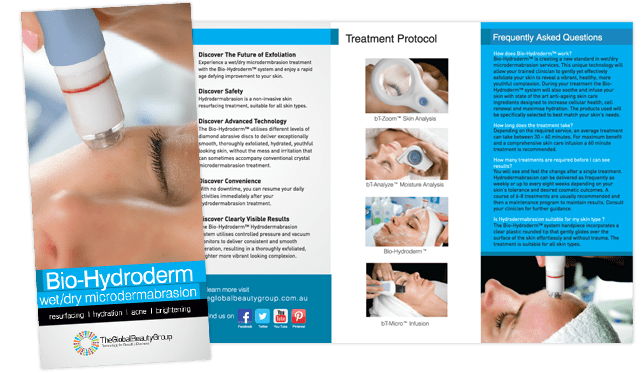 Enjoy an array of marketing resources to ensure you launch your new microdermabrasion services with a bang!